Home » india news » IIMs to double student intake. But will it lead to a 'dilution in quality'? IIMs to double student intake. But will it lead to a 'dilution in quality'? IIMs are set to double their student intake but what about the problem of vacant faculty positions? The student intake at all IIMs to increase from 10,000 to 20,000. How will that work out? The Indian Institutes of Management (IIMs) are set to double their intake of students, but the problem of a commensurate increase in the faculty remains. At a meeting with the chairmen and directors of all 19 IIMs on 20 September at IIM Shillong, HRD minister Prakash Javadekar asked India's premier management institution to double their number of seats from 10,000 to 20,000. The directors and chairmen have agreed, and will soon submit their expansion plans to the government. Even so, no time frame for doing so has been specified. Catch spoke to some high-ranking IIM officials, both past and present, about whether doubling the number of seats was a good idea, especially given the faculty crunch in IIMs that was pegged at an average of 22% in 2015. Former IIM-Ahmedabad (IIM-A) director Jagdeep Chhokar was critical of the move, saying that merely a quantitative expansion in seats across IIMs was not a good idea and could lead to dilution of quality. "While it is good that more students be trained, it is imperative to keep in mind the issues of faculty and quality, which is what sets the IIMs apart. Otherwise, it is akin to mass production. Physical expansion of infrastructure is not the issue here. But expansion of an institution, which is built gradually over a period of time, is not merely a physical thing," he said. "While there is already a shortage of faculty, again it is not just about increasing the number. More faculty members can be hired to match the number of students, but the quality of teaching and the quality of absorption by the students in an applied field like management is paramount. The student-teacher relationship is the most important aspect." However, Errol D'Souza, who is currently the dean (faculty) at IIM-A, said the decision to increase the intake was a welcome move. "We (IIM-A) want to reach out to more students and expand further. In fact, the intake at IIM-A has expanded a lot over the past 10 years. The need of the hour is that high-quality management schools get bigger," D'Souza said. Regarding the issue of teachers, he said, "Scaling up is a conscious process, and will take time to plan out. It will not happen immediately. And we shall obviously scale up keeping in mind the availability of faculty and other complementary inputs. Quality is our benchmark, and it shall definitely not be compromised." Similarly, IIM Udaipur (IIM-U) director Janat Shah said as far as the newer IIMs were concerned, a progressive rise in intake is part of the original plan. He said IIM-U, which became operational in 2011, has an intake of 180 but they plan to increase the batch size to 560 by 2025. Concerning the faculty shortage, he said, "Yes, the shortage of faculty has been an issue, but we shall sort it out as we go. 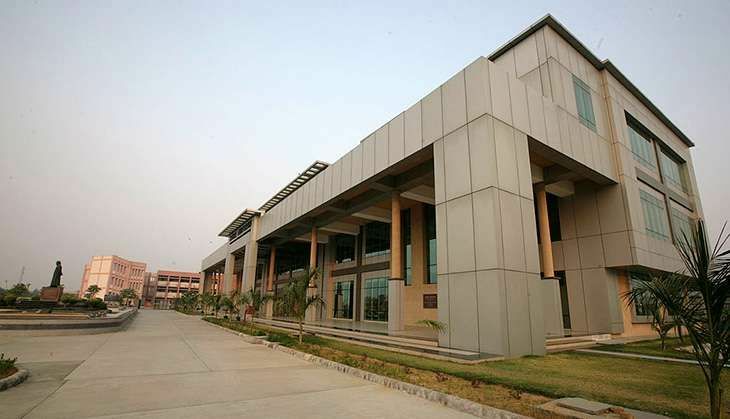 For example, IIM-U has attracted reasonably good faculty so far." He said there was a need to expand and strengthen the IIMs' doctoral programme - Fellow Programme in Management (FDM) - which was also discussed at the September 20 meeting, so that there was a bigger pool of eligible applicants for teaching positions in the near future. One of the reasons for shortage of faculty is that few management students venture into the field of teaching. Shah added that the newer IIMs had already been promised sufficient funding by the government for a "reasonable time period", so money was not a problem. As far as the six older IIMs are concerned, they raise the required funds on their own through fees, paid research and consultancy projects. TWEET THIS IIMs are set to double their student intake but what about the problem of vacant faculty positions? The student intake at all IIMs to increase from 10,000 to 20,000. How will that work out?